Experience Points: EXP Podcast #41: Survey Said...Depresssion? I found your podcast after I read the same article and wondered whether anyone in the gaming blogosphere had commented on it yet. You guys make some really interesting points, especially about the validity of the study's data collection method. So, thank you for making the article the topic of your latest podcast. I would like to add a small point about community engagement and understanding. As you both rightly pointed out, their definition of a 'video-game player' is somewhat flawed as it does not really take into account the diversity of gamers, gaming habits and the actual games people are playing. Their overly broad definition of a gamer is not entirely surprising but it is frustrating. It seems fairly unprofessional to me to conduct an academic study on the health and wellness of a subculture, but not make any effort to identify and at least acknowledge the complexity and diversity of the group. I highly doubt, though please feel free to prove me wrong, that a respectable health and wellness study could be conducted on the African-american, Caucasian, or Hispanic communities without acknowledging socio-economic backgrounds, education levels, etc. This omission frustrates me because the study implies, by not acknowledging the diversity, that gamers and gaming subcultures are not worthy of proper, well-conducted, academic research. When poorly conducted scientific research like this makes it into the mainstream media, it doesn't hurt the reputation of the scholars behind it, but rather the community they are supposedly studying, and one would hope, trying to help. 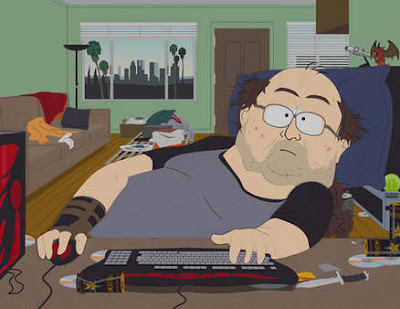 I really would welcome a study on the health and wellness of gamers, it is probably long over-due. A study like that, however, must engage the gaming community in a meaningful, representative way before it would be legitimate. Academic research ought to be conducted, so it is good to see some, but poor research with sensationalized misleading titles like "Health-Risk Correlates of Video-Game Playing Among Adults" is only damaging. Thanks for stopping by. We were also surprised that not a lot of people were talking about the survey. Maybe there's a feeling that even engaging with this kind of stuff legitimizes it? I think your points about the diversity of gamers are spot on; there were just so many problems with how the survey was designed. Still, it would be nice to see more serious, long-term scholarship. Maybe when the folks who have grown up gaming start designing, implementing, and publishing the surveys things will improve?